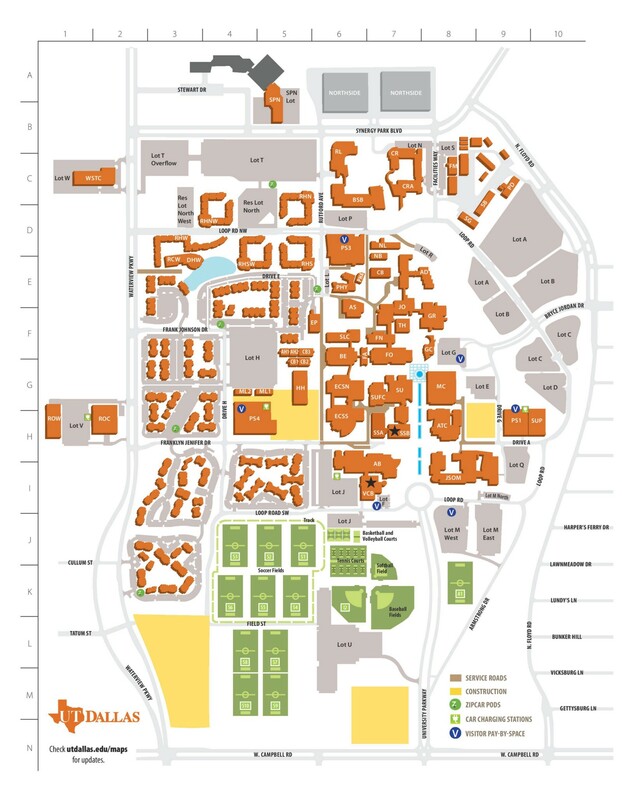 University of Texas at Dallas or more commonly known as UTD has its main campus in Richardson, Texas, Telecom Corridor, 18 miles (29 km) north of downtown Dallas. This is a detailed guide to renting a student accommodation, complete with a list of properties available. Dallas is a big Texan city and has a decent big economic centre. It is a beautiful and green city and is sparsely populated. It is a city built around cars. So roads are huge; parking is necessary, everything is big and far away. People usually have cars or even bicycles as Dallas is a vast place. Yet, many of them end up walking 1 or 2 miles everyday, as it is refreshing and enjoyable because of the pleasant weather. 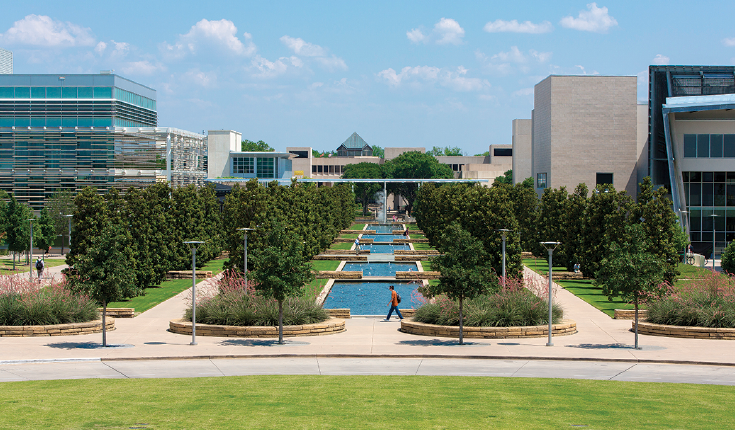 Most universities of Dallas are in the suburban areas and are decently far from city centre. Although the suburbs themselves are decently populated but Public transport is not that great so better to live near the university itself. Grocery stores are available close-by everywhere. Some poor areas around UTD have a steady crime rate and so its generally not advised to roam around late at night if you are not in the city centre. Airport is quite far from the city and its best to book a bus(https://www.supershuttle.com/) from airport to city centre. Renting and real estate is cheap as compared to other cities in Texas. The weather here stays warm throughout the year. Richardson: It is the most popular locality amongst students studying in University of Texas — Dallas as it is very safe and is very close to the campus. Plano: The second most popular locality since it is really close to Richardson and equally safe. Carrollton : Popular due to the short commute and economical options. These are some more localities you can consider: McKinney, Garland, Addison, Farmer’s Branch, Fairview, Irvin. Commuting in and around the campus is free for the UTD students after availing a free of cost DART card that can be obtained here. Apartment Amenities: Microwave, Air conditioner, Refrigerator, Storage, Washer, Dryer, Dishwasher and sometimes, even Fireplace. These amenities are usually provided, but, it is always better to confirm this with the property management first. Commuting — Commuting is hassle-free as the properties are well-connected by different means of transport. Deposit: Is a security fee that is paid to the landlord in terms of a fixed amount of money. Deposit is refundable at the end of your stay tenure. Average amount for deposits is $50 to $300 (or in some cases one month’s rent). Some properties may ask for 'sure deposit' which is non-refundable deposit of lesser amount than the refundable one. Number of Tenants: The max number of people who can stay in an apartment is mostly mentioned in the apartment guidelines. Generally, 2 students are allowed per room (1b - max. 2 students, 2b - max. 4 students) in the apartment. Often, to save rental costs, students accommodate guests for permanent basis without informing the apartment management. This is not advised and may lead to cancellation of your lease agreement. However, you can accommodate guests for temporary basis without any issues. Guarantor: In certain cases, the landlord/housing management may require a lease guarantor which acts as a third party to help provide security in terms of the rental. You can get concession in deposits if you have a guarantor. Certain properties may charge separate application fee for guarantor. Usually, the utility charges have to be paid separately. AmberStudent provides you with free of cost assistance for apartment search near UTD, to make your renting experience easy. The representatives help you find the perfect apartment as per your preferences. With numerous apartments around UTD you can pick the accommodation of your choice at affordable prices.